Over the past few weeks, I’ve been on an organizing spree in my home. One thing I’ve noticed is that I don’t have enough bookcases to hold all our family photo albums! Most of these albums are a few years old and date back to my pre-digital camera days. Nowadays I’m taking all my photos with my digital camera or phone and the only storage I need is on my computer. Isn’t technology awesome? My new Sony VAIO Tap 20 All-in-One PC provided to our family by Sony and Intel is perfect for keeping all our family photos organized. It comes with the PlayMemories Home software installed and it was exactly what I was looking for. Not only does it preserve our photos, but it also allows us to enjoy them! The 20 inch IPS LCD Touch Screen is perfect for showcasing pictures crisply and clearly. Use the wireless mouse or touchscreen to maneuver around the program- it’s whatever is your preference! I’ve recently taken on a big project: turning all our family photos digital. I want to preserve these memories so they are safe, organized and can be shared and enjoyed with my family and friends. 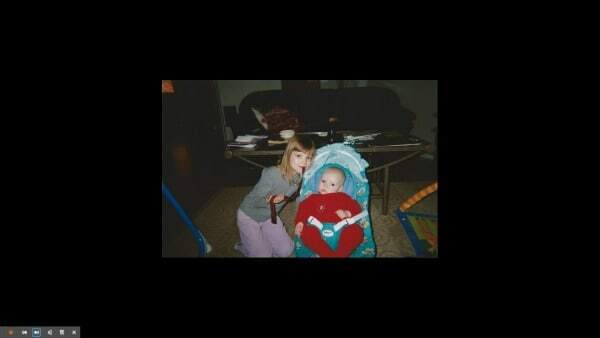 I started by taking our family photo albums and scanning the pictures and saving them to a USB device. Then I import the photos directly into PlayMemories Home. In PlayMemories Home, you can label each photo with color codes. 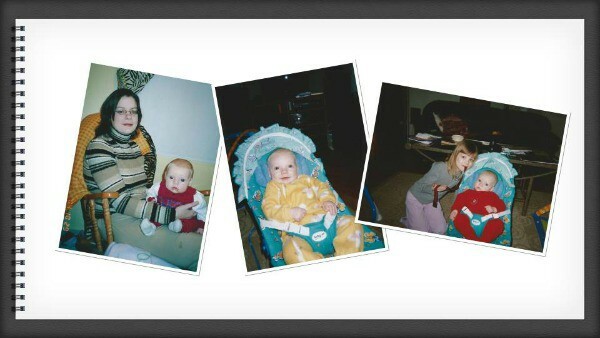 For example, I added an orange label for the photos of my youngest daughter, Bridget. There’s also a spot where you can add comments and fill in the description for each photo. Another neat thing I can do is import all the pictures from my smartphone. I carry my iPhone with me everywhere and am always taking pictures. I imported all the photos from my phone into PlayMemories Home. I had over 1000 pictures on there! This way I can organize them and then delete the pictures from my phone to free up some storage space. Let me tell you that it is WAY EASIER to import the pictures to PlayMemories Home than email every individual picture to yourself! 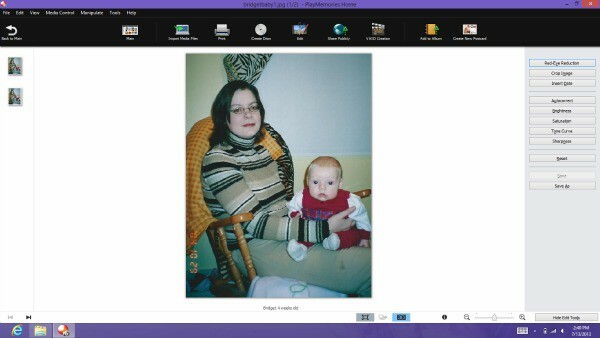 I can also import pictures I take directly from my digital camera into PlayMemories Home. All I have to do is hook up my camera to my Sony VAIO Tap 20 All-in-One PC and click import. 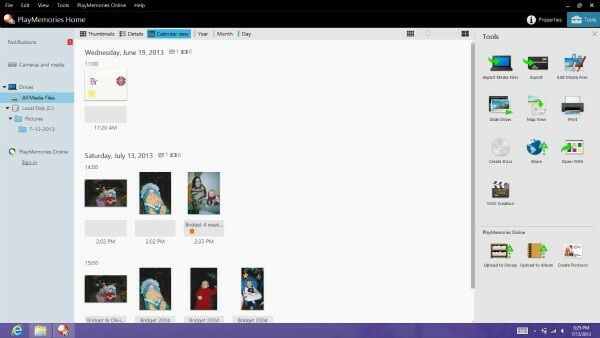 I can view my photos in thumbnail view or switch over to the calendar view and see the dates when the photos were taken. Editing is a breeze. Yes, you can also edit your photos in PlayMemories Home! Take out red eye, crop, adjust brightness and curves and more. I can view my photos in a slideshow on the 20 inch IPS LCD Touch Screen. I also had fun creating postcards! There’s various backgrounds to choose from. I shared my creations with my family and friends on Facebook. 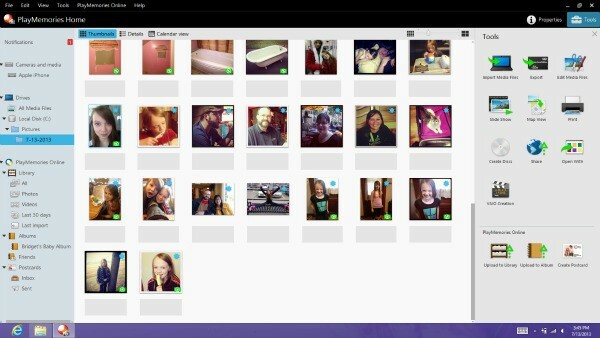 You can also share your photos & videos directly from PlayMemories Home on YouTube, Flickr, Photobucket, Picasa and more. I’ve been organizing the photos into albums. So far, I’ve created albums with baby pictures for both my daughters, family trips and even albums for our current home renovation projects. 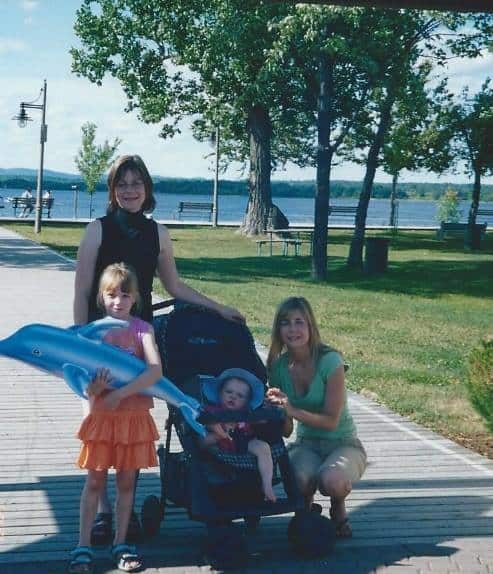 Today I wanted to share with you one of my favorite memories: our trip to Ontario. Just the girls and I went on our own to visit my family for a couple weeks in the summer of 2005. 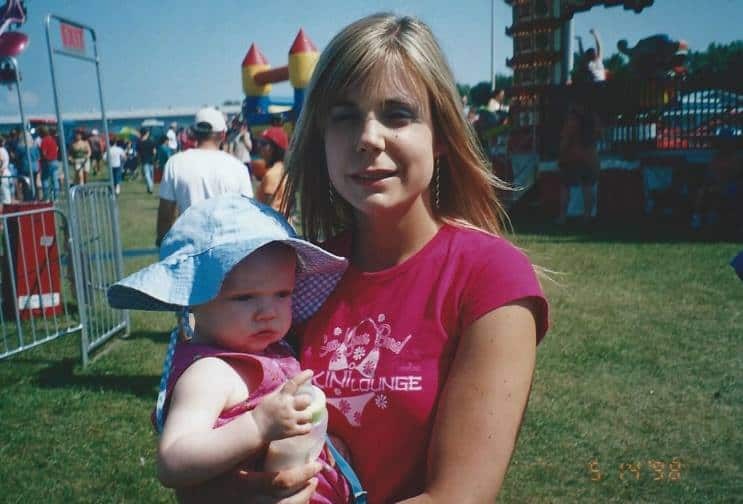 At the time, Olivia was 7 years old and Bridget was just a baby. We had so much fun that summer! I will always cherish those memories. 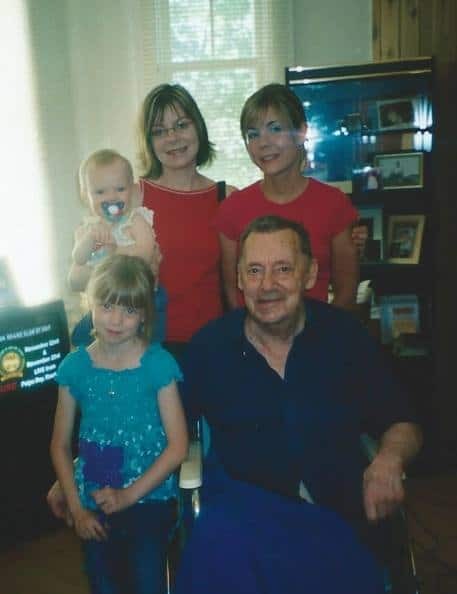 We had lots of visits with family that we hadn’t seen in years. 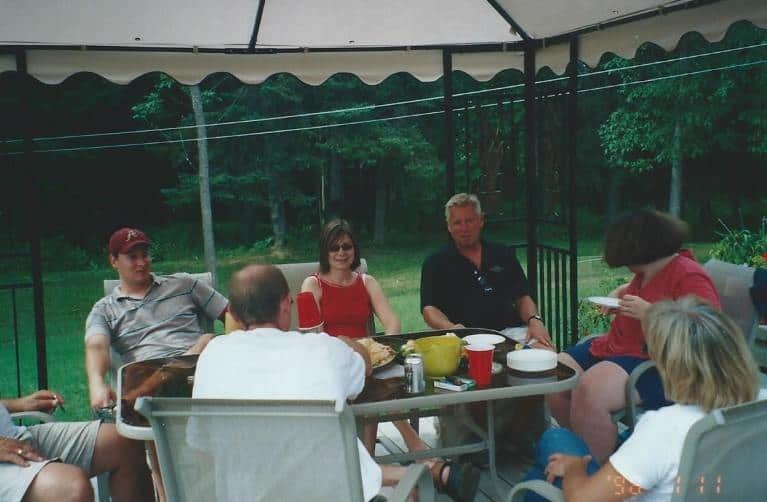 It was also the first time many of my relatives met Bridget. 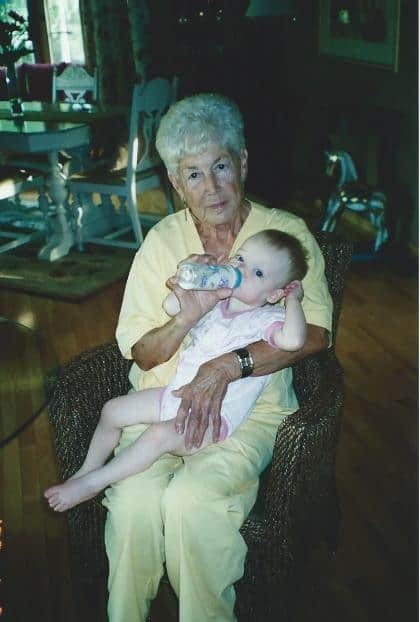 We spent lots of time with my Grandma June. She passed away in December 2012 and seeing her here with my girls makes me smile. 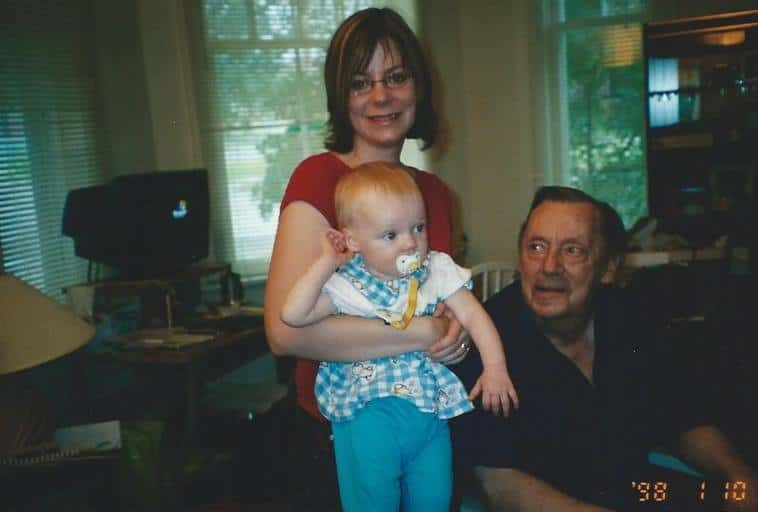 We also had a nice visit with Grumpy, my grandfather. He passed away a few years after these photos were taken. 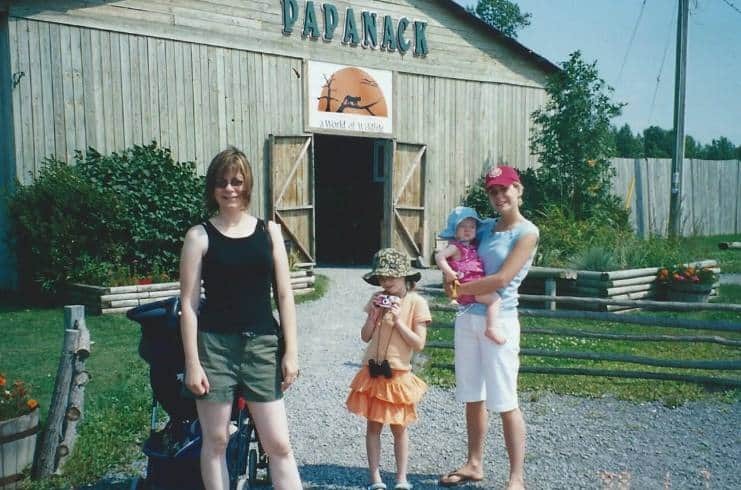 My mom, sister and I took my girls to the Papanack Zoo. They loved seeing all the animals! 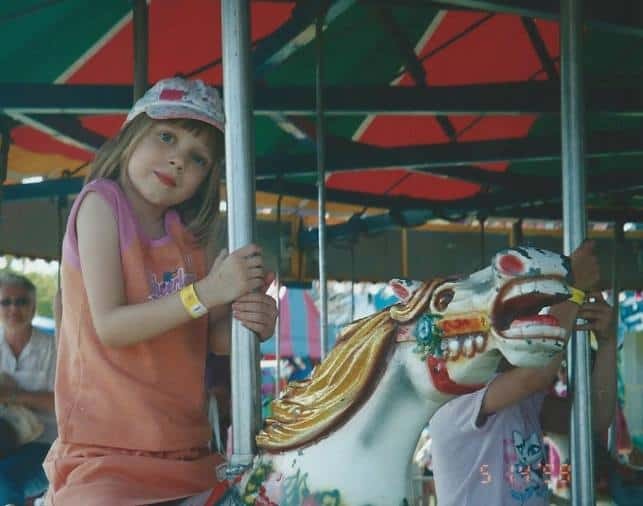 Then there was the fair! In fact, there were two local fairs going on while we were there and of course we had to go to both! Even I went on a ride or two. 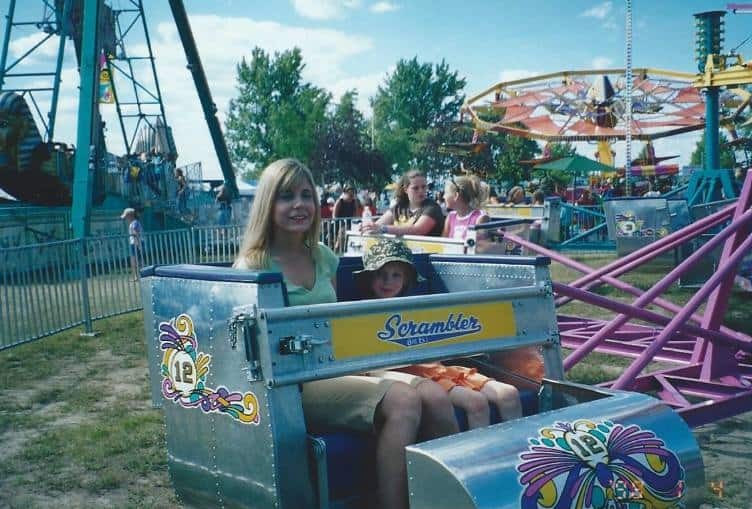 I love this picture of my sister, Laura, and Olivia on the Scrambler. Olivia had fun on the Merry-Go-Round. Bridget was fascinated by all the sights and sounds. Olivia even won a toy dolphin playing a game! 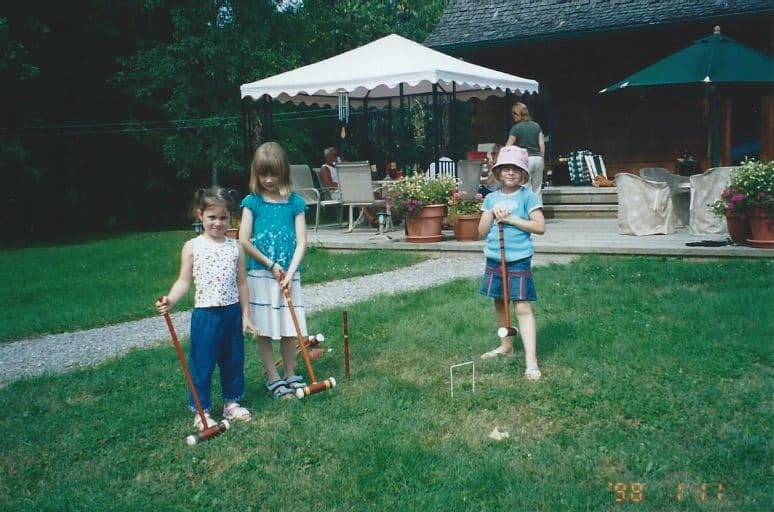 That summer there was lots of family barbecues and games of croquet in my parent’s backyard. 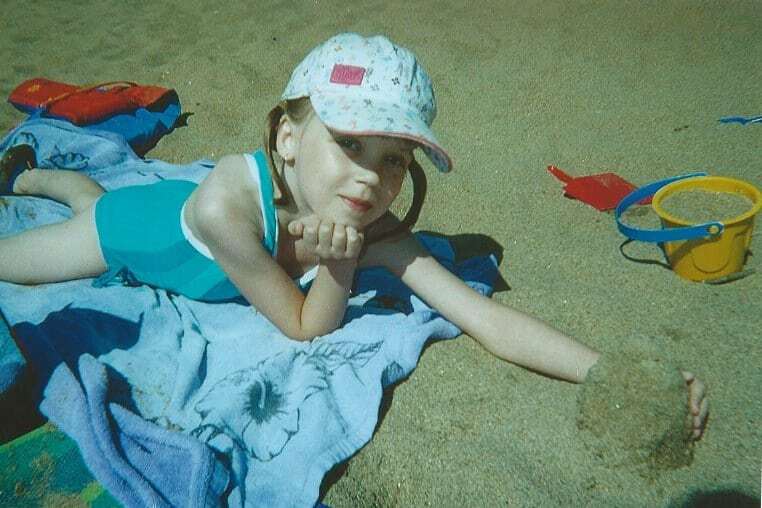 And of course there was trips to the beach. No summer would be complete without those! Both my parents ride motorcycles and my dad took me out for a ride around town. 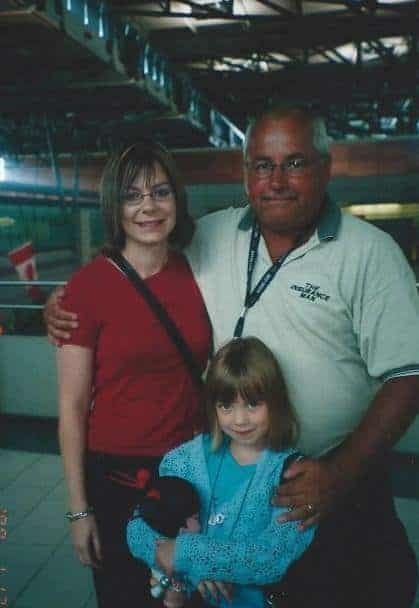 I was sad when my parents dropped us off at the airport for our flight back home. It had been years since I looked at these photos. They were tucked away in an album gathering dust. It brought back so many fun memories looking at them again. I created an album on PlayMemories Home just for this trip. Now I can easily look at them whenever I want. I also shared the photos on Facebook so my family could see them. My sister had never seen the photos before! Organizing photos has never been easier thanks to the Sony VAIO Tap 20 All-in-One PC! I’m really enjoying the process and love the comments from friends and family when I share them on Facebook. Memories are meant to be cherished, not forgotten! Sony and Intel are giving away a Sony VAIO Tap 20 All-in-One PC to one lucky winner! That could be YOU! What a neat idea. My phone is loaded with pictures that I really should do something with. It was fun seeing some of your old family photos. I really like this. I feel as if all my photos will always be stuck in my camera or on my phone, and never printed. One of the things i hate about technology. I really need to get some printed up. 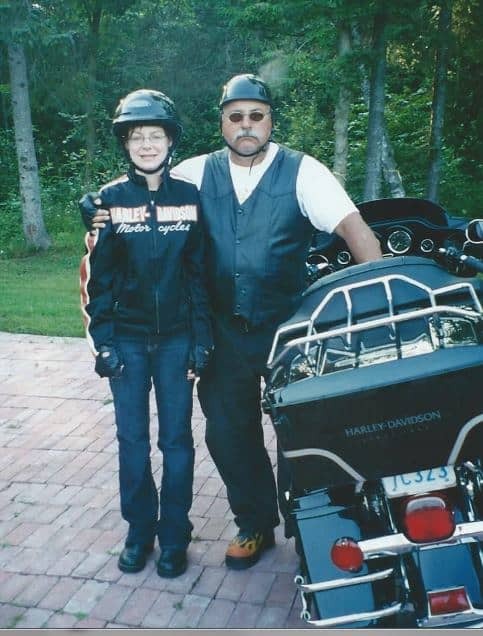 hahaha, OMG – I HAVE that Harley jacket you are in wearing in one of your photos!!! Love this blast from the past, photos are so important! What great memories!! I cringe every time I think of what I might lose if I don’t have a back up for the photos on my computer. I need to start backing up now. I love all the pictures from the past! My photos are the one material item I cherish the most… you just can’t replace them. Great pictures! You are right, photos are so important and way too many of them end up collecting dust. I need to make a point to do something creative with mine, too. 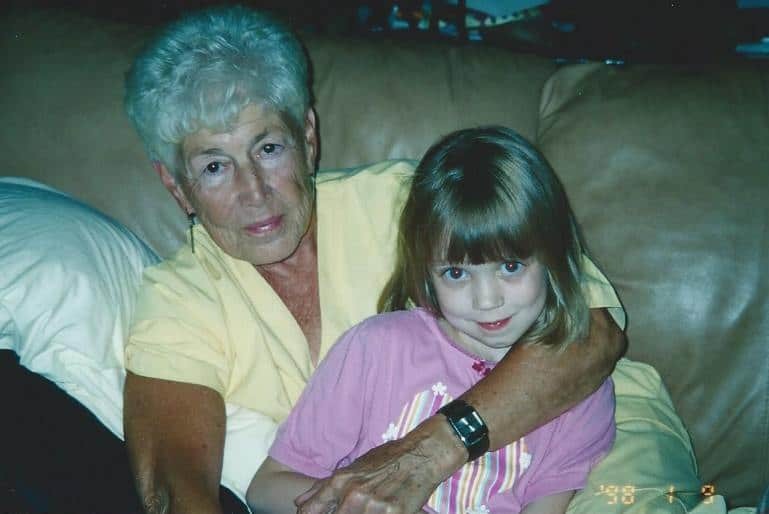 Your Grandma June pics are just precious, too. Very neat idea. Photos are so important to me I take and keep tons. Great pictures. While now all the pictures I take are digital and we don’t print them out any more, I have yet to digitize all my thousand of older pictures. It is something that I really need to do. I love how that is set up for image editing! Looks like a great over all pc. I have a couple of Sony products and love them! Great photos! I love family photos for some reason! I need to go through mine and catch up on some projects! I love love love going through old photos!!! They make me forget about all of my current problems. I cannot wait to go home and explore all of the photos we have sitting in the garage! That’s an XMAS thing I like to do! Loving the older family photos! This is a brilliant way to keep family photos! Organizing your photos so they can be enjoyed is great! Glad you did this. Awww…I love the pictures! Thank you for sharing. Ugh – we are sooooo behind on picture organization! 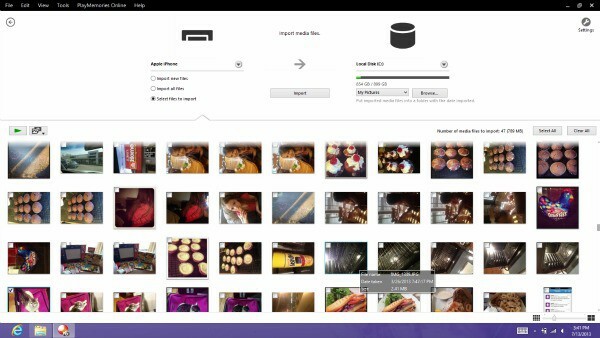 Looks like a great way to manage photos. Love that you call him Grumpy!